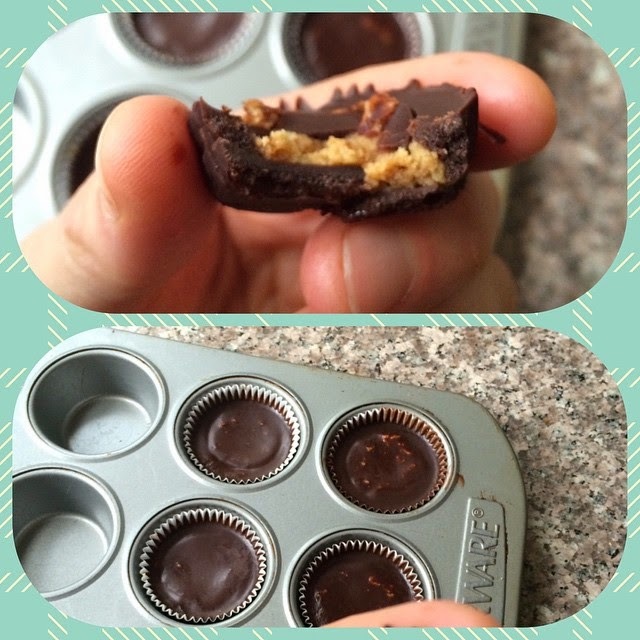 Reese's peanut butter cups are yummy and quick to make! Mix those ingredients together. Line mini muffin tins with liners, fill 6 of them up halfway and freeze for 10 min. Add a tsp PB in each, top with the rest of the chocolate mixture and re freeze. Then enjoy!! !